FOR AS LONG AS I CAN REMEMBER, I have loved kids. Babies, 2-year olds, 4-year olds, 8-year olds. I spent my younger years babysitting, and even after I was engaged, I still took babysitting jobs because I just loved taking care of kids. 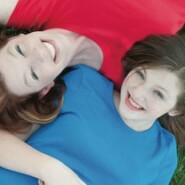 When I found out in 2000 that I was pregnant with my daughter, I could not have been happier. My life, my family, was finally taking shape (along with my growing waistline!). I have friends who have children they have adopted, fostered, egg-donored, miscarried, lost. Does that make them any less of a mother? In my opinion, no. In 2003 and 2004, I was excited to become a mother again, but both times those pregnancies ended in a loss. I felt empty, incomplete. I kept looking at my daughter in wonder and amazement…she was so PERFECT. Why couldn’t I have another one? In 2005 I found out I was pregnant again…this time I got past the first trimester, only to learn in the second trimester that the son I was carrying had major medical problems with his bladder, his kidneys and his heart. After many trips to CHOP, all the news we got was that our baby would be born with a lot of problems, but ones that could be fixed. My son Sammy was born at 2:22pm on 2/2/2006. I watched him take his last breath just 11 hours later. Our family was devastated. Our daughter, Alex, was only 5 and she was heartbroken. She questioned whether or not she was a sister, and made me question whether or not I would consider myself a mother if not for her. It took years for me to accept my “family of 3” and not constantly be angry that my dream “family of 4” wasn’t going to happen for me. I was angry that I didn’t get my miracle. What got me thinking was a comment I remembered the doctor making at the autopsy finding…perhaps Alex is my miracle. She is my blessing. She is what I am thankful for every day. She makes me smile. She makes me love. She makes me Mom.